At Ence Homes, they understand what's really important, you. That's why for over 55 years, Ence Homes has been the leader in constructing beautiful New Homes in St George, Utah, Washington County and Mesquite, Nevada , Clark County. For the last 10 years, Ence Homes' focus has been on energy efficient, quality construction. That is how they are able to offer a 10yr Warranty with every home they build. You'll also notice as you drive around town that all previous built Ence communities look beautiful as a whole and bring higher resale values to their owners. At S&S Homes their motto is "Homes for Life"
From the beginning stages of neighborhood development to every finished home, they make sure to provide you with functionality and comfort. In fact, every floor plan is designed with everyday living in mind. At S&S Homes they trust their 26 years of experience to make certain each home is high quality and built to last a lifetime. A home, after all, is the place where you dream, grow, and find fulfillment. They encourage you to visit their model homes, and see for yourself how a home built by S&S Homes is a...home for life! The conceptual design of SunRiver St. George is centered around creating a lifestyle within a community, offering not only top quality home construction, but the best in amenities and facilities to fully enhance the lives of active adults. From the golf course layout and community center design to the floor plans of their sensational SunRiver St. George homes, the active adult lifestyle is their central point of focus. SunRiver St. George is "building a lifestyle, not just homes." From choosing the perfect lot and design to the final walk-through, they are committed to ensuring that their clients are just as happy with their dream home as they are with the process of building them. Pride Homes Inc. takes a simple approach to the building process, one that involves partnering with their clients every step of the way. No detail is too small, everything is just as important, to them as well as you. They want you to know the details up front to ensure that you are getting the custom home that you want without hassles or surprises. Building a custom home can be overwhelming, and their experience, and collaborative work style makes the whole process a great experience from start to finish. They listen to their clients wants and needs and integrate them into their homes. After being in the business for over 30 years their philosophy of treating subcontractors and suppliers as equals brings a higher level of expectations and performance to every job. The result is superior workmanship through all phases of construction and a final product that they are proud of. As a true custom builder, they build to your exact specifications. They pride themselves on their work ethics. You're invited to tour Pride Homes Inc. They want to build your dream home. 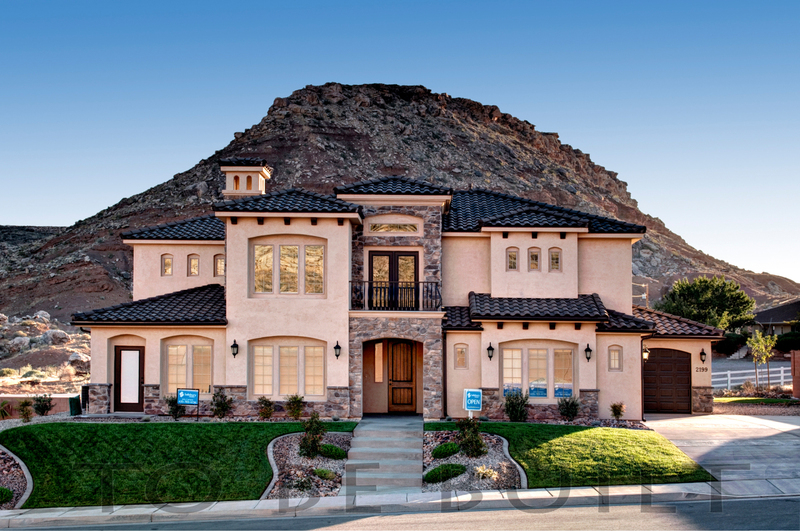 Bangerter Homes of Southern Utah has been building homes for 4 generations of Utah families. Father and son team, Garret & Brandon Bangerter, bring over 50 years of contracting experience to the table. The Bangerters have built a reputation in Utah of quality, integrity and value for over 75 years and have been building homes in the St. George area for 16 years, and has built a home for the Parade of Homes each of those years. Whether you are looking for a home in the low $200,000s or the millions, Bangerter has the expertise to help you design the home of you dreams at prices that may surprise you. Your home will be built with extreme attention to detail and many "hidden quality" features that are often overlooked when shopping for a home. Working directly with Garret & Brandon every step of the way, and you'll discover why when the job is done, our buyers become close friends and our best sales agents! With more the 30 years of home and commercial construction experience, Brian Geer is a dedicated hands-on General Contractor/Framer of luxury homes. Formerly of Ash Creek Builders, he is active with the Southern Utah Home Builders Association, building a home for the Parade of Homes since 2001. He is an Energy Star-Rated builder and has received their certified Green Professional Designation by the National Association of Home Builders. 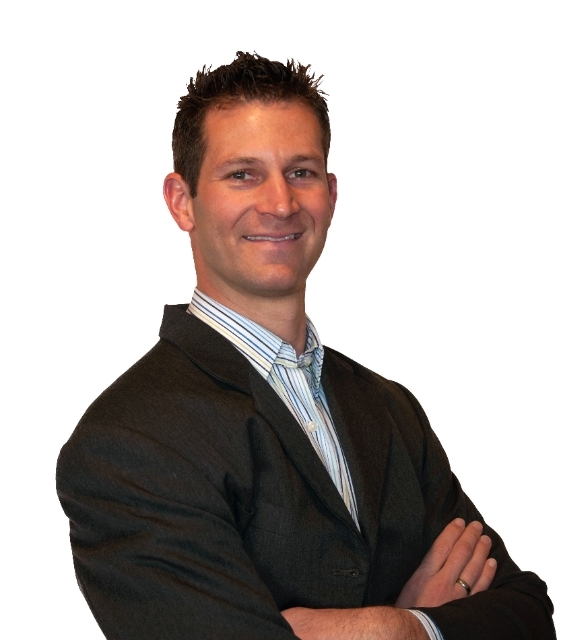 Brian capitalizes on his vast experience to make Dream Homes a Reality! He prides himself in overseeing construction of every home, and enjoys working with quality conscious craftsmen to make building dream homes a wonderful experience for all involved. His standards attract subcontractors with the same standard of excellence in their respective trades, culminating in an enjoyable construction experience. 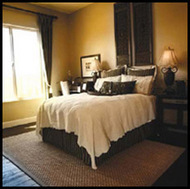 Steve has participated in the St. George Area Parade of Homes since 2001. For a unique home, with amazing design and craftsmanship to fit your style, you need to consider Steve Dockstader Construction. In 1987 Ivory registered the trademark "Utah's Number One Homebuilder" as a challenge to everyone in their company to be the very best. At first, they focused on improving their designs and adding quality locations. They then moved to improving customer service. They weren’t happy with what they found so they changed many of their personnel and made huge improvements to be more accountable to their customers. Within only four years, they went from 74% customer satisfaction to 91%. They have now gone more than a decade averaging over 92% in customer approval. Building the most homes in Utah this past year isn’t the reason they call themselves Utah’s Number One Homebuilder. They are number one because year after year they assess the weaknesses and do everything they can to get better. The process of striving for continual improvement has led to consistent results. According to the Construction Monitor, an independent tracker of building permits in Utah and many other states, Ivory Homes has been Utah’s largest home builder every year since 1990. Since the Construction Monitor began keeping record, Ivory Homes has started 10,415 new homes. The next closest competitor is at 4,747. Salisbury Homes is Southern Utah's more affordable home builder. Salisbury Homes builds everything from small townhomes to large million dollar homes, but they specialize in cost effective 2-story homes from 3,000-6,000 square feet. Salisbury is also known for their quick build time. From the time you decide what lot and floor plan you would like to build, it is as little as 60 days until you are moving in. That is roughly the same amount of time it normally takes to close on a loan of an existing home, so don't think that building a new home means you have to wait longer to move it. What it really means is you get to pick the colors, features, and plan design that meet your life style. QUALITY CRAFTSMANSHIP? HENRY HAS IT! Henry Walker Homes is new to the St. George area, but they offer a fresh and stylish design. You've heard the saying that things "aren't built like they used to be." Well, that's not the case at Henry Walker Homes, where they build houses better than they used to be built. They've held on to the solid craftsmanship and attention to detail of yesterday, and combined it with the energy efficiency, fresh look, and design of today. So you know that your Henry Walker Home is built first to last. The Henry Walker Homes Design Center is where the fun begins. Customize your home just the way you want it by selecting your paint, cabinets, flooring and other finishes from the vast selection of options. The staff of design experts will help guide you through the process and make sure that your house takes on a look that fits you. "It's All about the art of living"
Rick & Riley Richardson are third-generation custom home builders, and well respected master craftsmen. Together with their father and grandfather they have worked in the building industry for most of their lives. Combined, they bring with them over thirty-six years of impeccable experience. 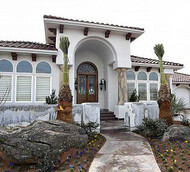 Richardson Brothers Custom Homes has been building new homes and communities in the Southern Utah area since 1993. They strive to tailor every home to their clients' individual preferences in order to make it uniquely their own. Richardson Brothers Custom Homes represents the choices and value people are seeking in home ownership. Everything they build is more than just a house; it is a home representing excellent value. Building a home starts long before the concrete is poured. It begins with a vision. The Richardson Brothers begin the process with thorough research into the needs of their customers and then design a plan that fits the demands of their active lifestyles. They apply this approach to every phase of design, quality construction and excellence in customer service. This attention to detail, combined with a new home warranty for every home they build, is your assurance of satisfaction. At Richardson Brothers Custom Homes they understand the priorities people hold about life and family. With Richardson Brothers Custom Homes you'll experience the pleasure of a dependable company who is committed to their mission of..... Quality, Choice and Value! Around 1980, the owners of Split Rock began making regular visits to the very scenic area of St. George, Utah including Ivins and Snow Canyon State Park. Back then it was an almost totally undeveloped area of desert land now referred to as the Snow Canyon corridor. They knew then that there were many people who would love to have a home in such a spectacular setting. In 1996 Split Rock set about to make it happen. The Entrada Company owned more than 700 acres in the corridor and had developed a master plan to preserve and enhance the natural beauty. In 1996 the Johnny Miller designed Championship golf course that is now part of the Entrada Golf and Country Club was opened. The club now has a Sports and Fitness Center which includes indoor and outdoor swimming, tennis, basketball, volleyball, a full range of work out equipment and an aerobics class room. Armed with financing and energetic partners, they first develop the community of Paiute Springs. By adding beautiful waterscaping on every lot, dramatic desert landscaping, and a whole new style of desert architecture, Paiute Springs was a huge success. Split Rock continued to build additional residential villages. They learned that people loved the water, the landscaping and house designs. Next, they introduced the single loaded streets of Kachina Springs, and then the lava field terraces of The Reserve. Many of the lots include lava formations which create a very unique beauty as they are set off by red sand, and the red and white towering cliffs. The Reserve is a guarded and gated community. The Reserve backs onto the 62,000 acre Red Cliffs Desert Reserve (a desert tortoise preserve). This protected area preserves the stunning views forever while benefiting the properties by bordering massive open space. Split Rock custom builds patio homes and larger custom lot homes. The Patio homes are planned unit developments that offer maintenance free living and protects views and open spaces. Their custom homebuilding side of the business has its own design group that not only helps the customer create just the home they want, but also find perfect furniture and accessories to blend with our unique desert style. Their architect lives on the project and can help with any customization needed. They feel a special stewardship for the land. Their primary caution is to see that they enhance it and not detract from its natural beauty. They have no desire to see how fast they can develop, just how well they can do it. They plan on being there 20 years from now still finishing the job, so treating their customers right is paramount to their philosophy. 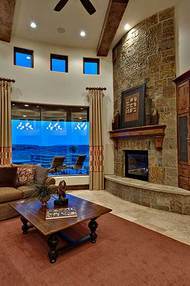 Nielson Development has been building homes in the Southern Utah Area for nearly 15 years. They specialize in Hurricane and Dixie Springs area near Sand Hallow State Park and reservior. Nielson Development can sell homes for lesser money because in most cases the construction phase is not used with borrowed funds. This keeps the price of the home down since origination fees and interest are not tacked onto the client’s loan. When Nielson Development quotes you a price, it includes all finance charges. Since Nielson Development does not pay these fees, they pass the savings onto the new home owner making the cost of ownership even more affordable. During the construction phase, they work hard to make sure you are 100% happy with the building of your dream home. They will work all the way through the building process and once you are in your new home, they understand that is not the end of this marriage. They work with the home owner on any future unforeseen warranty items and will fix any problems in a quick and painless manner.